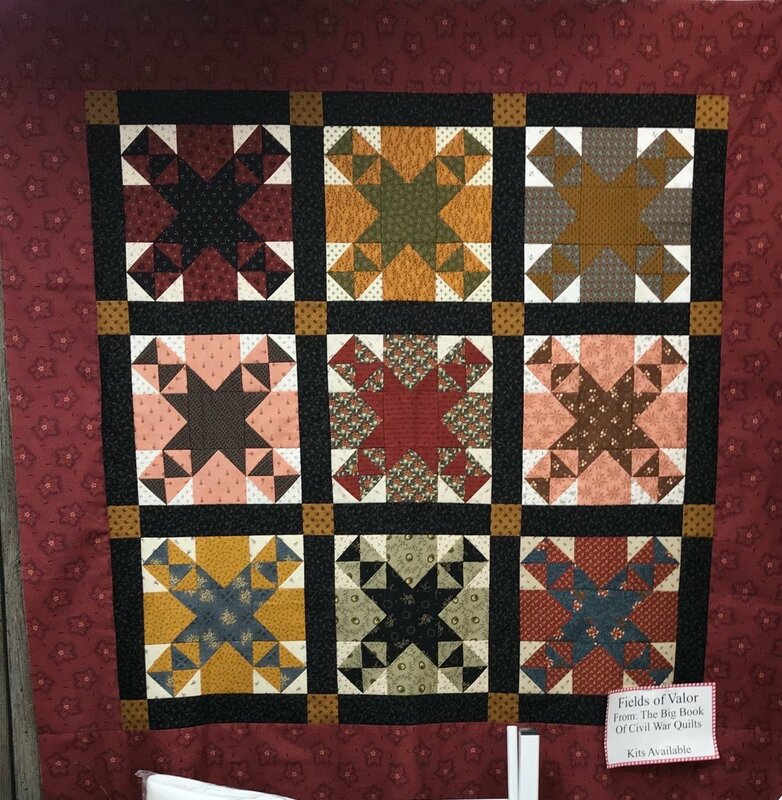 Only 9 blocks makes this traditional small quilt. The pattern is in the "Civil War Legacies II" book and also in "The Big Book of Civil War Quilts". This quilt finishes 44" square and we have some kits available. Book purchase required.